Yes, welcome! 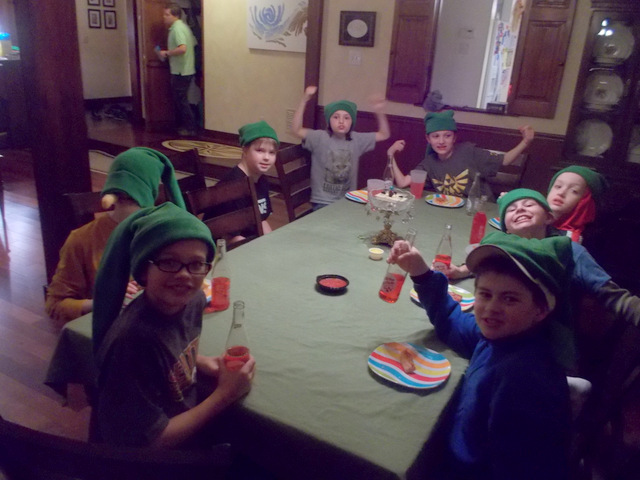 After going to the Seattle Symphony’s performance of “The Legend of Zelda: Symphony of the Goddesses,” Jeff decided to have a Zelda-themed birthday party. EASIEST PARTY EVER. 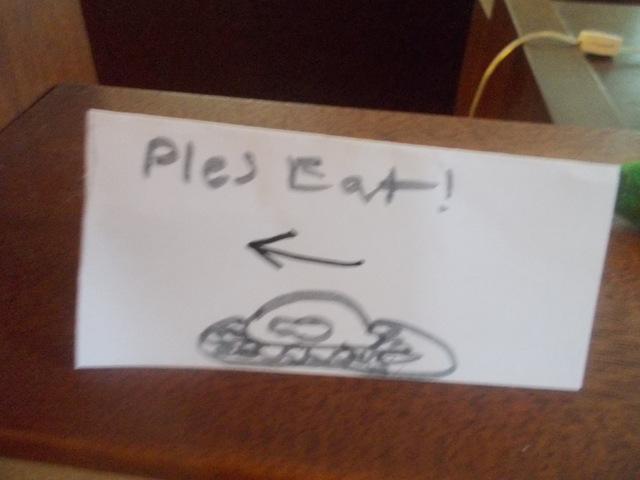 Especially since Eleanor made the fabulous party decorations (such as the above sign) all by herself. Make sure you take lots of Red Potion with you before you start your journey (Red Potions restore half your missing hearts in the game) . 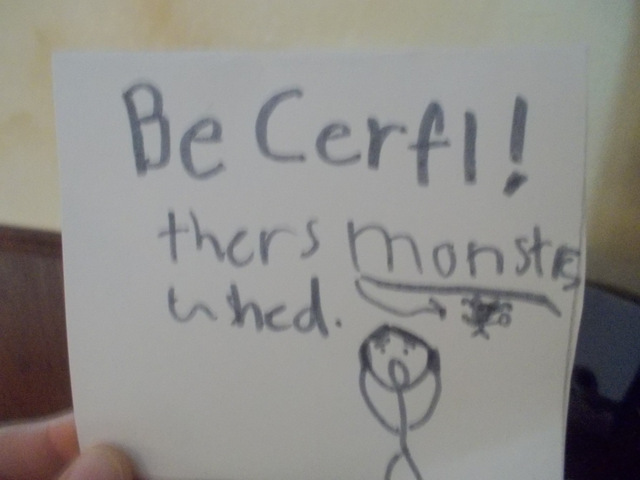 . .
There’s MONSTERS ahead! 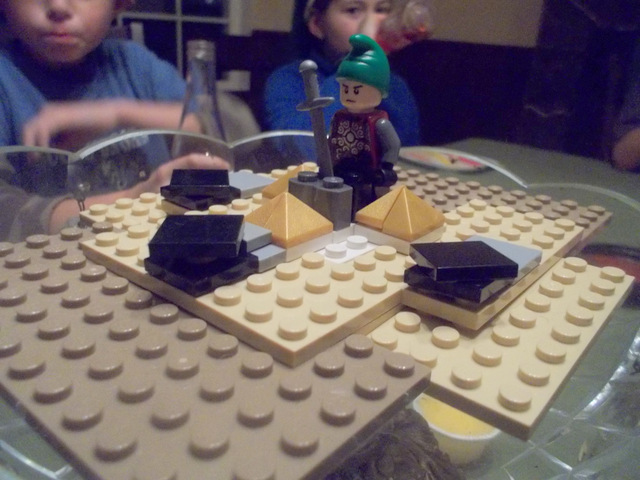 Better take that sword you found on the centerpiece Jeff made. 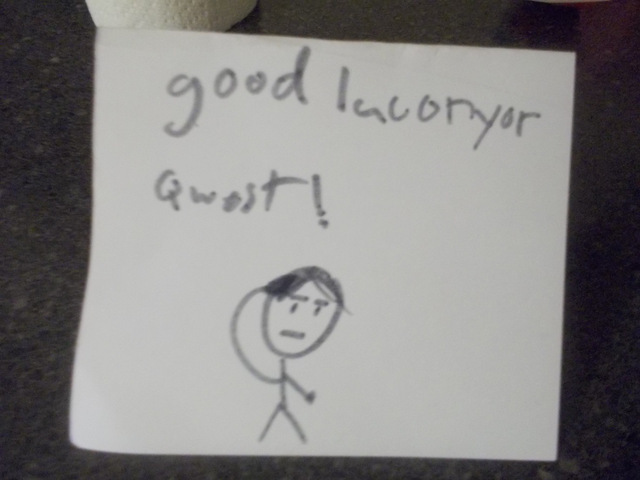 And GOOD LUCK ON YOUR QUEST! 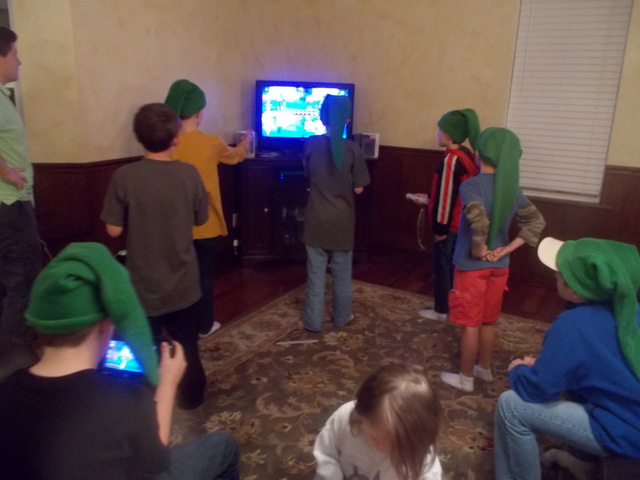 Here are all the boys “questing.” It’s the Zelda Battle Quest game on the Nintendo Land game for the Wii U. The game can have up to 4 players at once, and the levels are short enough that it was easy to rotate them all through. Don’t they look adorable in their Link hats? After your long journey through the land of Hyrule, there is one more thing to do . . . 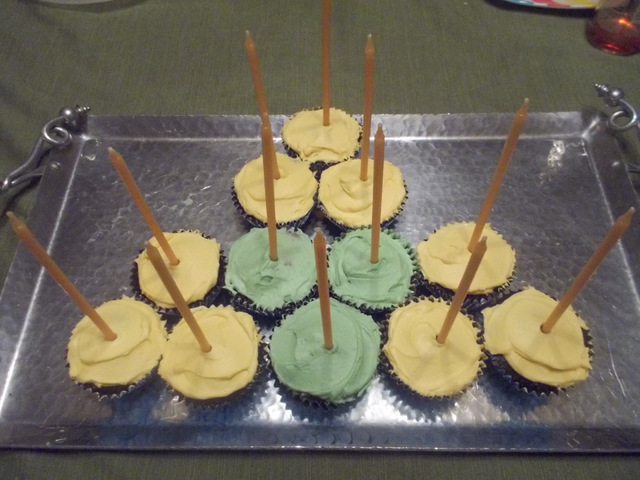 In this case, pizza and Triforce Cupcakes! D’awwww. Ain’t he a sweetie? 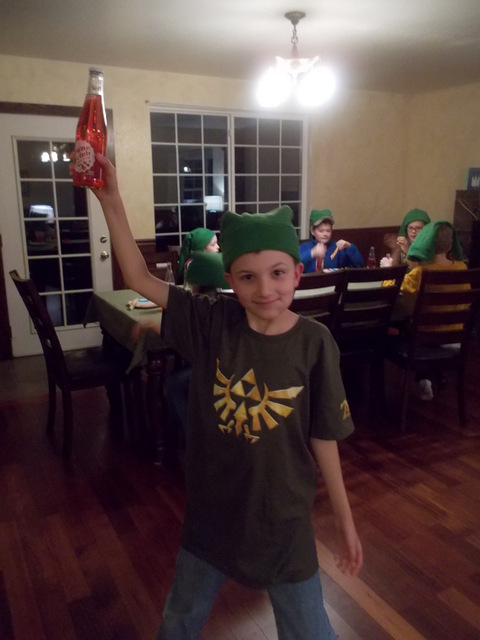 Many parents have since reported to me that their sons constantly wear their Link hats now. Totally worth the time spent making them. Yep, Daniel hasn’t taken his off. 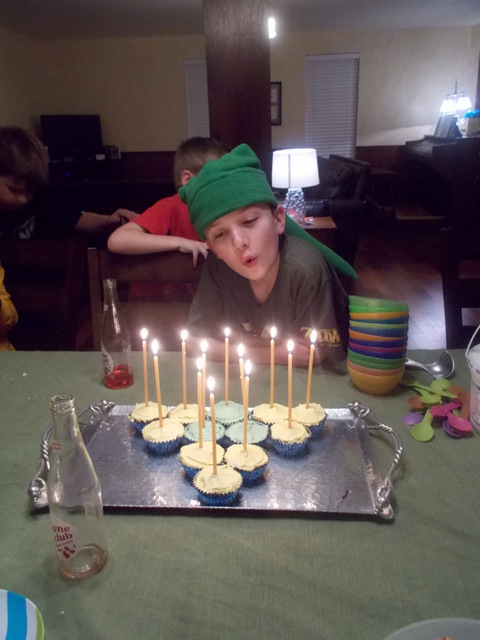 He had a blast!! 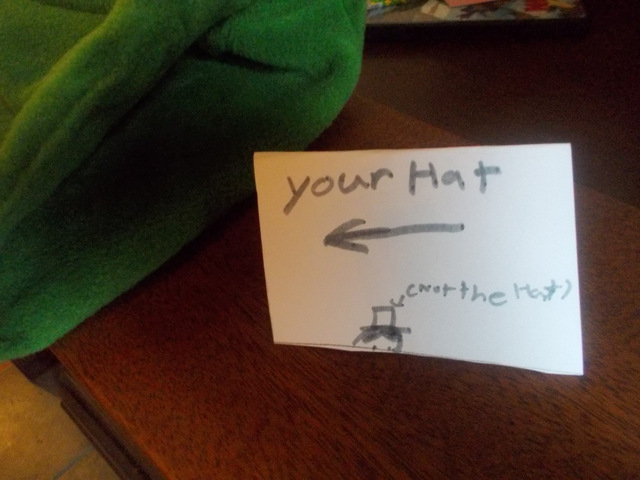 Those hats are just adorable! What a great party!!! That looks really awesome! 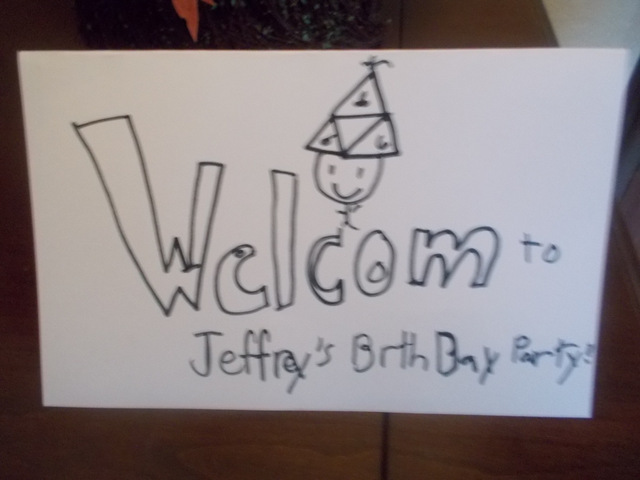 Happy belated birthday Jeff!